Mercedes have confirmed Lewis Hamilton’s car had floor damage during the Australian Grand Prix. After landing a sixth successive pole at Albert Park, Hamilton was looking to stamp some early authority in the first race of the season. But he was forced to settle for a distant second behind Valtteri Bottas following a poor start and a general lack of pace throughout the race. Hamilton had his own ideas about his pace issues, but Mercedes have found something as well after inspecting the car. 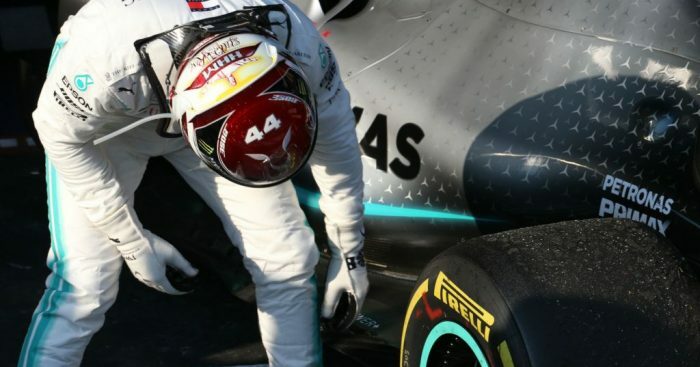 “We have discovered damage to Lewis’ floor at the region of the left-rear tyre seal (in front of the rear tyre) which will have exacerbated the challenges he had with the car balance,” confirmed a Mercedes spokesperson. Hamilton later mulled over his poor start in the FIA press conference. “I don’t really remember much of it, it was quite a long time ago already,” Hamilton said. “I don’t know, maybe I got wheelspin. “It doesn’t really matter, Valtteri got a better start and at the first corner the good thing was we held position, we had the front row still.